It’s been another busy month at Union Room which has seen us develop some of the existing websites in our portfolio, as well as add some great new clients to the group. 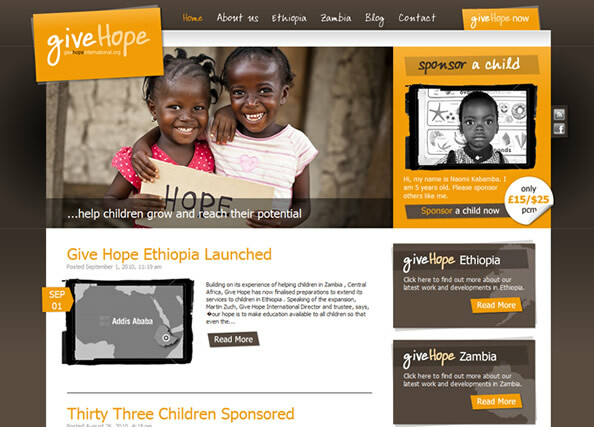 You can read more about the Give Hope project in a blog post we did earlier this month. It was our pleasure to help out such an amazing cause. Take a look the website by clicking here. 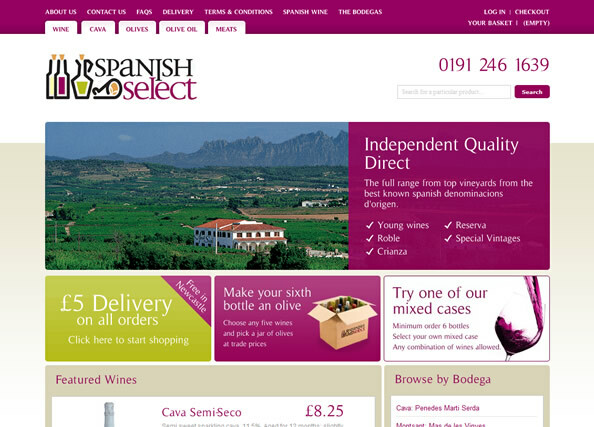 Spanish Select approached us at the beginning of August needing an e-commerce presence online asap. With some initial designs already produced, we built on this and managed to get the website online within a matter of weeks. Take a look at the finished website. We recently received sign-off on Parkdean Holidays new homepage design, so it really is all systems go until the new year making sure the Parkdean team have everything they need. We’d love to show you what we’ve done so far but I’m afraid things have got to stay under wraps until launch. Parkdean were also recently nominated for the British Travel Awards, which you can read about on our blog. In one of our biggest projects to date, we’ve been helping beacon purchasing create a completely new online system to handle the orders for the annual directory publication. We’ve been working closely with Projector on this project, which is always great. We’ll be posting a case study about this on the blog soon. We’ve been busy building lots of additional functionality for the Nigel Frank website, much of which will help them push their business further afield. We’ve had a lot of fun creating some great new functionality in flash. We spoke about the Works project in our last update. We’re almost ready to go live and cant wait to see how it performs with some of the fantastic art on the site. We’re deep into development on the new websites for Newcastle’s Martha’s Bar and Redcar’s Deck nightclub. We can’t show you the designs right now, but we’ll be featuring a blog post on this as soon as they’re live.